Edward Atiyeh and his twin brother Richard were born on October 2, 1921, and were raised in Portland with their younger brother, Victor, who served as Oregon Governor from 1979 to 1987. Their parents, George Atiyeh and Linda Asly, emigrated from Amar al-Husn, Syria, and Beirut, respectively, and proudly became American citizens. Ed graduated from Washington High School, and earned a Business degree from the University of Oregon. He was a member of Phi Gamma Delta fraternity, enjoying friendships that would last a lifetime. Ed served in the Army during WWII. In June, 1944, while home on emergency leave from the Army due to his father's serious illness, Ed met his future wife, Karen Vedvei. In December 1944, he was in front-line combat at the Battle of the Bulge in the Ardennes Forest, Belgium, with the 106th (Golden Lions) Division, which was nearly annihilated in the first week of the German attack. Ed and Richard were separated during that battle, taken as prisoners of war, and each did not know the other was alive until after the war ended. Ed was liberated on Easter in April 1945. He received the Purple Heart, Bronze Star, and Combat Infantryman's Badge, among other military decorations. He and Karen were married Sept. 6, 1947, at Trinity Episcopal Church. Ed enjoyed a successful career, with his brothers, expanding the Atiyeh Bros. Oriental rug sale and cleaning business (one of their cleaning locations remains on S.E. Division Street), which had been established by his uncle Aziz Atiyeh and his father George in 1900. Ed left a lasting impact on his industry, and on many people in the community. 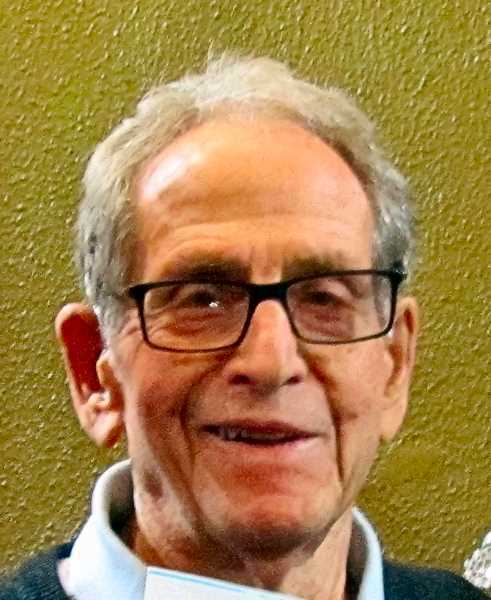 He served as President of both national and regional rug cleaning associations, Senior Warden at St. Barnabas Church, and he was a charter member and President of the Southeast Portland Rotary Club in 1960, remaining a faithful member until his death. He also served as Rotary District 5100 Governor, and was a member of the Board of Directors at Providence Child Center Foundation, and of the University Club. He was Board President of William Temple House, and after his retirement spent most Tuesdays for 24 years as a social services volunteer there. Ed was widely remembered for his kindness, generosity, integrity, quick wit, and humble demeanor. He loved to golf and to have lunch with his buddies at Portland Golf Club, where he was a member for 63 years. Ed passed of natural causes in the early morning hours of July 18. He is survived by his wife Karen, and their children, David (Darlene), Linda Anderson (Rainse), and Bob (Deb); as well as by grandchildren, Carrie (Jeff Coombe), Kevin (Jenny), Josh Rink and Sarah Rink; and by great-grandchildren Ryan, Bella, Madeline, Charlotte, and Norah. The Atiyeh family wants to recognize with appreciation the support Ed received in his final months from the doctors, specialists, and nurses at St. Vincent Hospital; care services at Marquis-Vermont Hills; and by the friendly and skilled staffs of Markham House, Providence Hospice, and Interim HealthCare. In lieu of flowers, contributions to William Temple House, 2023 N.W. Hoyt Street, Portland, OR 97209, will be appreciated. A celebration of Ed's life was held on August 11, at the Episcopal Parish of St. John the Baptist, 6300 S.W. Nicol Road, on the Oregon Episcopal School campus.